Hot wax an resin ready to go. I’ve been a photographer a long time but my eventual obsession with photo encaustics turned my entire approach upside down! 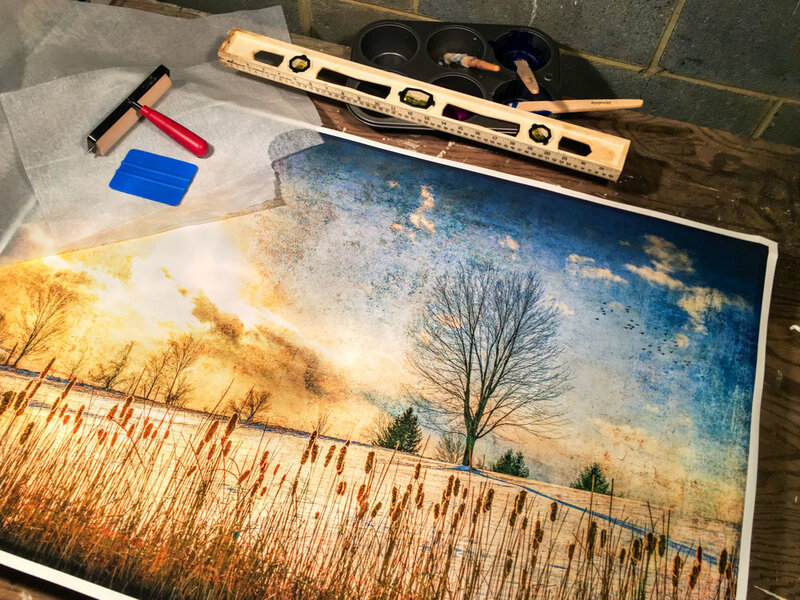 There are many variations of encaustic art, and while I focus mainly on embedding wax onto fine art photography prints and bringing them to life by accentuating the image with brush strokes and iron patterns, the pieces also lend themselves well to all sorts of mixed media possibilities. Encaustic artists who don't use photography build spectacular, colorful textured art cakes, embedded with pigments, inks and more. Encaustic art is an early art form practiced by Greek artists beginning around the 3rd century A.D. The artist builds up layers of natural beeswax by fusing with heat while the damar tree sap resin provides additional hardening and a varnish finish to the artwork. The permanence of wax and resin has allowed encaustic works such as the Fayum mummy portraits to survive for thousands of years. 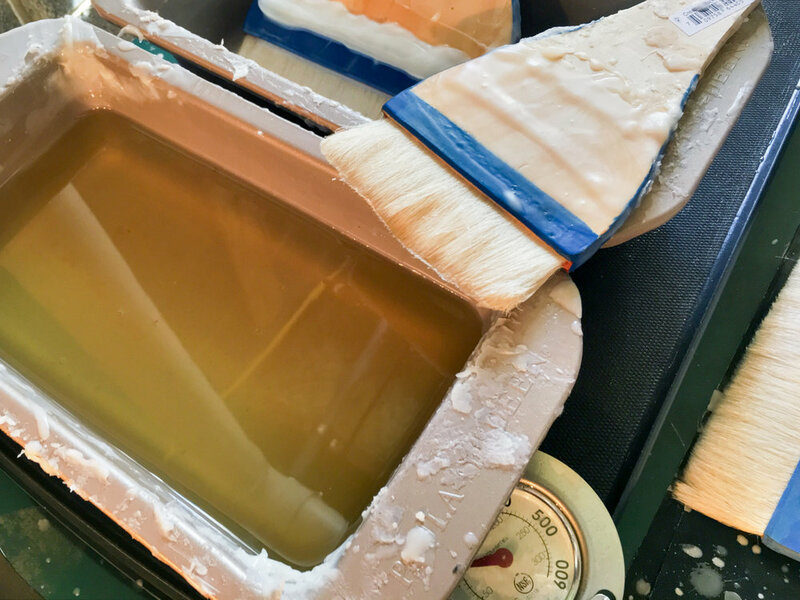 Some contemporary photo artists experiment with the wax to damar ratio, or no resin at all, while others apply varnish before the wax infusion. One artist applies a very thick wax layer directly on the print and then removes it leaving intentional brush debris. I ensure my pieces are museum quality by printing on 308 gram Hahnemühle fine art acid free paper adhered to a cradled board with archival glues. The print is then ‘entombed’ into multiple layers of wax and resin, and ‘interpreted’ with brush strokes or hot iron. The inks, prints, glues, wax are fully archival and produce museum quality work that will last for generations. I approach photography in a painterly way with the encaustic process as an essential aspect of interpretation. I am fascinated by the texture and the internal luminescence that fine art photos project when encased in wax, and the tangible process of creating these works allows me to expand my images physically and conceptually.